You are here: Home / Best Composting Toilet Reviews You DON’T Want to MISS OUT! Best Composting Toilet Reviews You DON’T Want to MISS OUT! Composting toilets helps you conserve water resources and follow an eco-friendly approach. But they pay you the most when you have a camping and outdoor fun plan. Even you can take it along with you in an RV boat, to make sure that routine activities go smooth. Brands are offering this kind of toilet, so I decided to share my own best composting toilet reviews. I picked two brands: Nature’s Head and Sun Mar Excel. These two brands are renowned for offering the excellent quality product with great features. People have faith in their products, so let’s find out what products you can grab from these brands. It is the latest design made in the USA. Stainless Steel hardware is used for its making, and this only thing makes it sturdy and durable. Vent hose and fan are included in its design, so they help toilet in the biological composition process. When you want to empty the waste, then its disassembly process takes less than a minute. Full-size elongated seat brings ultimate comfort for its user. When you are looking for a portable, self-contained composting toilet, then this product could be your best choice. This toilet can be used by anywhere you like, especially a place where you have an issue with plumbing and electricity non-existence. This model was designed was two sailor for marine use. Therefore, you can use this toilet anywhere anytime, no matter what your environment is. It is hard to see the urine container. If you are looking for Dry Composting toilet with the modern design, then it is just your best choice. This is a user-friendly toilet with easy installation. It comes with a molded design, 5-inch vent house, bottle cap, and a 12 volts power plug. It is a hand crank agitator in the base for fast composting. Getting this toilet means removing the need for tank space consuming septic system. Even you don’t need to search for a pump out station. As far as installation is concerned, you will find it super smooth. There is little maintenance required time to time, like once a month. People who are concerned about the environment’s hygiene must know that it is completely odorless. You never have to experience sewage smell, even after two weeks of usage. As far as emptying the waste is concerned, it could easily last up to 80 uses. 12 volt is required for this toilet. Another good thing is that this toilet brings organic compost, not the raw sewage. When you have a plan to set a toilet in a guest room or small cottage with no electricity and plumbing problem, then this composting toilet will come to save you. It doesn’t require holding tank and pumps outstation. Just like other two Nature’s head toilet, this product is also easy to install and use. You don’t have to do maintenance again and again. 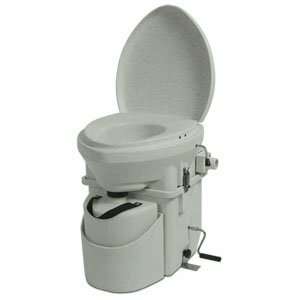 Assembly and disassembly of this toilet is one person job, that’s mean it is super easy and quick. It is an ideal toilet for two people since it brings enormous capacity. One thing to note at this point is that you need to empty urine container once a week. If you don’t do this then container will be full it might slush out. Emptying the waste less than five minutes. I like its new design which eliminates the shortcomings of the old composting toilet. It requires 12 volts battery energy, but you can use an optional wall adapter as well. You have read three best composting toilet reviews of Nature’s Head. Now it’s time to talk about another brand which can bring a perfect quality toilet with excellent design and feature. I put this toilet in the fourth point because of its affordability issue. You need to spend a handsome amount of money if you want to grab a composting toilet from Sun-Mar Excel brand. However, once you have it, you can use it anywhere because it is one of the best waterless toilet available on the market. As I mentioned before, this product requires no waste at all. It is 100 percent non-polluting for the environment. It’s self-contained design make sure that you don’t have to dig a hole to deal with the waste. This low profile unit is the best fit for almost any bathroom where plumbing and electricity is a significant issue. This toilet converts human waste without causing any odor into the self-fertilizing soil. It brings excellent capacity for four people in a residential environment. If you install it in a cabin, then 6-8 people can use it without worrying about emptying the waste for a weekend. Venting kit is included in the box. You can use this toilet anywhere like in a commercial place, residential area, and a cabin. I can’t miss this product, because it is a part of almost all the best waterless composting toilet reviews. However, I added it last because it is an expensive option and not an economical choice for a person with a limited budget. It is a non-electric model, and therefore you can install it in a place where electricity is not available. Suitable for marine, commercial and residential use. Its capacity is not as high as its mate. However, you can expect medium size like two people can use it for a week without concerning about emptying the waste bucket. Almost 5-7 people can use this toilet in a cabin for a weekend. It converts human waste into the safe fertilizing soil without spreading any odor. This self-contained toilet is a literally a water-less model as it uses no water. It comes with its venting kit, and thus its installation is straightforward. It is a kind of toilet which requires less or no water to flush the waste away. So, the question is what happens to the human waste. Well, this toilet is filled with sawdust and other material which is mixed with human waste and turns into safe fertilizer through aerobic action. In simple words, it is an environmentally friendly toilet which doesn’t consume water and doesn’t flush the waste into sanitary pipes. It handles wastes own its own. Since it doesn’t require water that’s why this product is often named as Dry toilet system or waterless toilets. Self-contained: This toilet has its own composting unit. The human waste composition happens within the toilet system and you don’t have to handle waste own your own. Slow composting toilets: These toilets have the slow composting system. They don’t have heat and active fans to speed up the composition. Vermifilter toilet: This toilet uses water and earthworm for human waste composition. As I told you before, these toilets use less or no water. So, once you flush the waste, it is either mixed with sawdust or just deposited for later composition depending on the type of toilet. I included self-contained units in my best composting toilet reviews because these units are quite economical. They have an integrated fan which generally requires 12 volts of electricity. These fans and heat speed up the composition process in the composting unit of the toilet. It transforms human waste into safe soil fertilizer. You can dispose of kitchen waste in the composting unit. If you install the self-contained unit, no need to transport waste anywhere. I have shared 5 waterless toilet reviews with you. No doubt, these toilets requires good investment from your side. But the thing is, they will help you set a toilet in a cabin or at a place where you can’t think of a regular toilet at all. 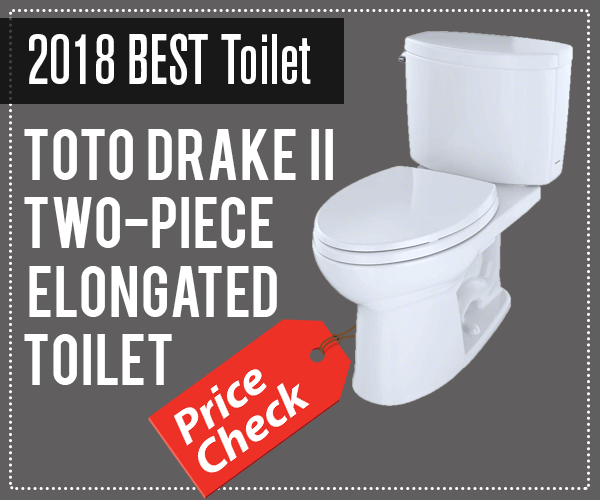 Although, all toilets are mentioned are of good quality, but my personal choice is Number 1 because this self-contained toilet is easy to handle and requires less maintenance. No matter what toilet you pick from this list, it will work great for you. You can enjoy its benefits anywhere, anytime (no need to worry about water resource and electricity).